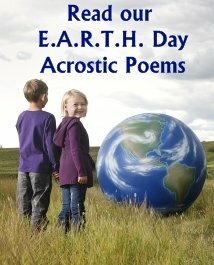 Earth Day Poems: Unique E.A.R.T.H. acrostic poems written inside globe templates. 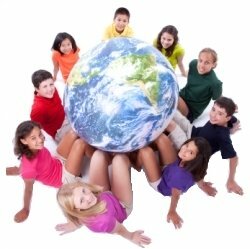 Earth Day Poems: Earth Day is celebrated on April 22 and this is a perfect opportunity for your students to write an acrostic poem with an environmental theme. The first Earth Day, on April 22, 1970, is widely credited with launching the modern environmental movement. In the United States, the passage of the landmark Clean Air Act, Clean Water Act, Endangered Species Act and many other groundbreaking environmental laws soon followed. 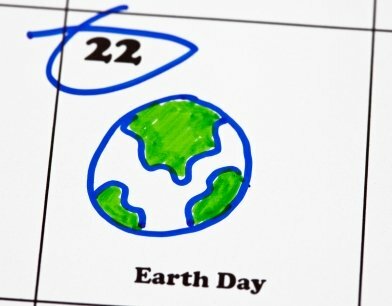 Today, Earth Day is celebrated in more than 192 countries. that is set inside a globe template. For these E.A.R.T.H. 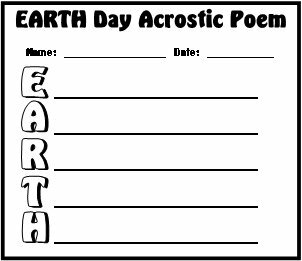 Day acrostic poems, students lightly color the background of the continents and oceans in their globes, and then use a dark pen to write their acrostic poems on the lines. Students cut out the globe templates along the thick black border, and then they will have unique globe shaped poetry templates. 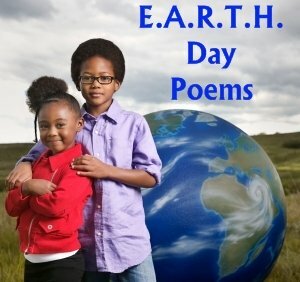 These Earth Day poems will make a colorful bulletin board display in your classroom that will highlight this important date which is recognized around the world. 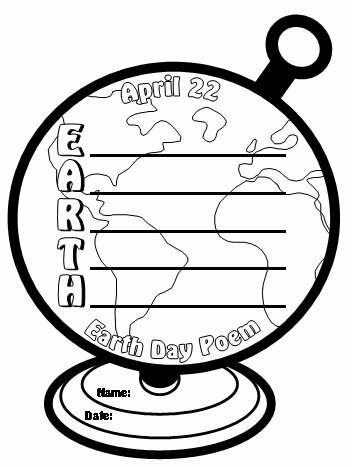 Everything that you need to complete these Earth Day poems is included in this teaching resources set. All that you will need is scissors, coloring pencils, and pens. For this reason, my students never begin writing their Earth Day poems on their final draft templates, instead they write on first draft worksheets. Then, they edit and revise their poems on their own, with a partner, or in individual writing conferences with me. 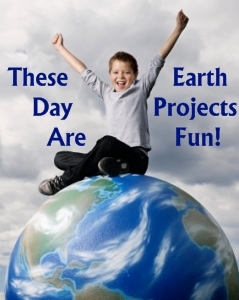 is included in this set of Earth Day teaching resources. After students have edited and revised the first drafts of their poems, you should give them their final draft globe templates. 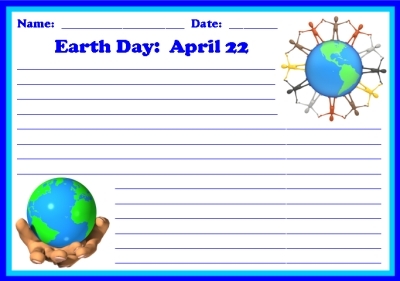 The Earth Day globe templates measure 9 inches in length and 7 inches in width. For their final drafts, students lightly color the continents and oceans using color pencils. Then, using a dark ink pen, students write their Earth Day poems on the lines. 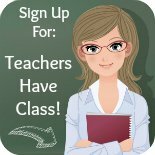 These globe templates have thick border lines, so it is easy for the students to cut out their globe poetry templates themselves. 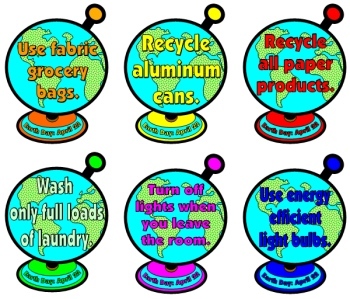 By using these unique globe templates, you will be able to create a dynamic poetry bulletin board display that highlights an important environmental theme as well. 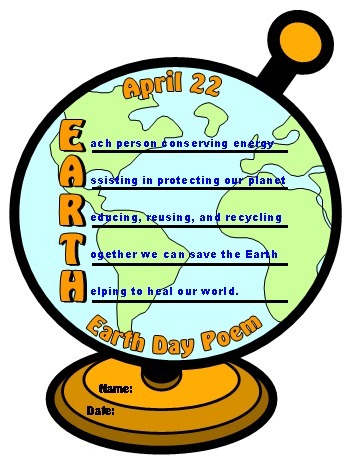 As I am introducing this poetry assignment to my students, I like to begin by sharing my Earth Day poem with my students. At the front of my classroom, I display an example of what the final draft globe templates look like. 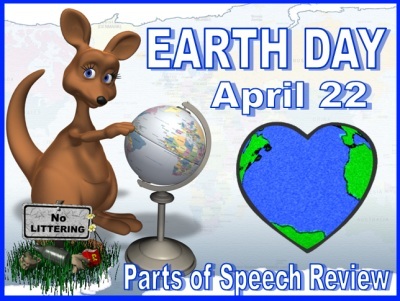 By providing a visual example at the very beginning of this Earth Day lesson, my students know what their poetry assignments will look like when they have completed their final drafts. 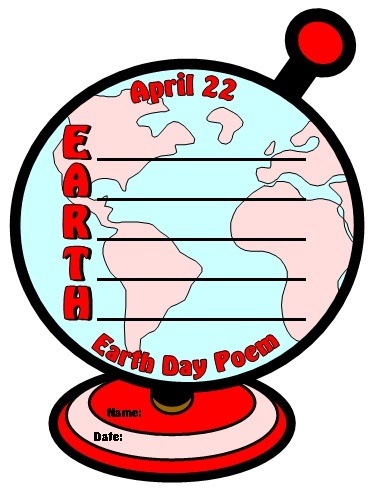 This set of poetry teaching resources includes 5 colors of Earth Day globes. Below is an example of the red template. 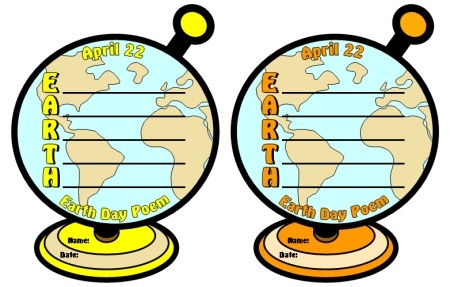 Besides the red template shown above, there are yellow, orange, green, and blue globe templates in this set of Earth Day Poems (see examples below). 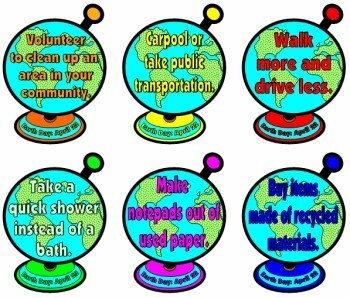 You can choose to print out multiple copies of these 5 colorful globe templates and give them to your students to write their poems on instead of the black and white globe templates. 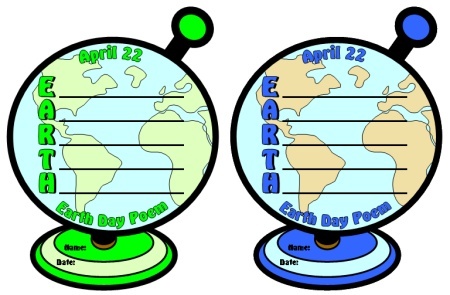 If you choose to use the color globe templates with your students, the finished bulletin board display of your students' Earth Day poems will be a bright array of rainbow colors. Your colorful Earth Day poetry bulletin board display will be sure to capture everyone's attention! 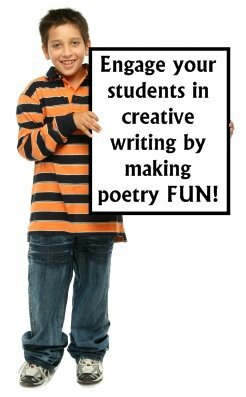 This five page banner is included for free in this set of poetry lesson plans. 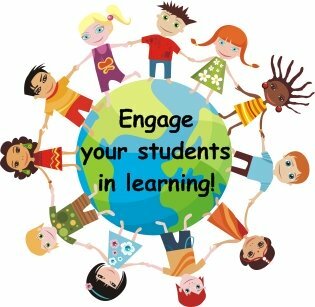 This time is valuable and better spent on developing your classroom curriculum. 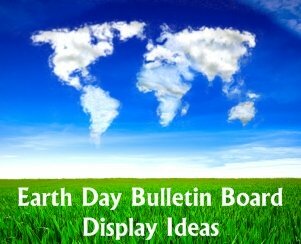 To help save you time, I have included a matching 5 page bulletin board display banner (shown above) in this set of Earth Day teaching resources. 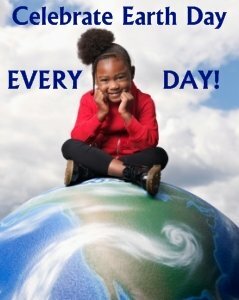 If you have access to a laminating machine, you can laminate your banner so that it is durable and you can use it year after year for bulletin board displays of these Earth Day poems. 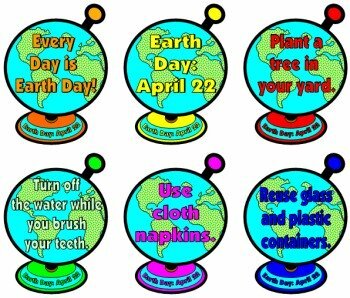 This set of Earth Day teaching resources also includes 18 globe bulletin board accent pieces to help you decorate your bulletin board for this environmental theme. Inside each of the globes, there is a conservation tip. Reuse glass and plastic containers. Volunteer to clean up an area in your community. Walk more and drive less. Make notepads out of used paper. Buy items made of recycled materials. that will take you directly to that web page. 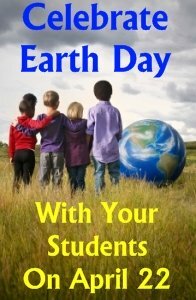 Earth Day Teaching Resources Page. Click here to visit my Earth Day Page. 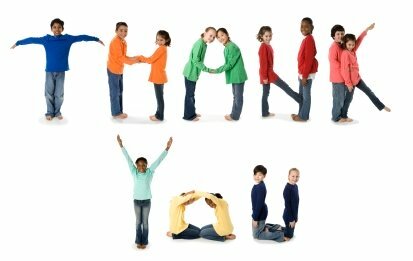 Thank you for visiting my Earth Day Poems page.